With the nation’s harvest of fresh fruits and vegetables streaming into farmers markets, it’s time to get out and celebrate the abundance and the beauty. Farmers markets are an integral part of our history and the urban/farm connection. The number of markets nationwide has continued to grow in number and popularity, mostly due to growing consumer interest in obtaining fresh products directly from the farm. Farmers markets allow consumers access to locally grown, farm fresh produce, enables farmers to develop a personal relationship with their customers, and cultivate consumer loyalty with the people who grow their food. The U.S. Department of Agriculture says direct marketing of farm products through farmers markets has grown 3.6 percent increase since 2012. The USDA’s National Farmers Market Directory lists more than 8,100 markets that feature two or more farm vendors selling agricultural products directly to customers at a common, recurrent physical location. Maintained by the Agricultural Marketing Service, the Directory is designed to provide consumers with convenient access to information about farmers market listings to include: market locations, directions, operating times, product offerings, accepted forms of payment, and more. Search for markets by zip code, geographic proximity, product availability, payment method and even whether the market participates in Federal nutrition programs, such as the Supplemental Nutrition Assistance Program (SNAP). You can also search by typing the official name and indicating state. California leads the nation in the number of farmers markets, the U.S. Department of Agriculture reports. Across America, these markets have more than doubled in the past decade, mushrooming from about 2,900 markets in 2000 to more than 6,100 today. Although it’s difficult to pinpoint how many Californians regularly shop at farmers markets, it’s estimated that each week millions of families grab their canvas produce bags and walk, bike or drive to their local market. 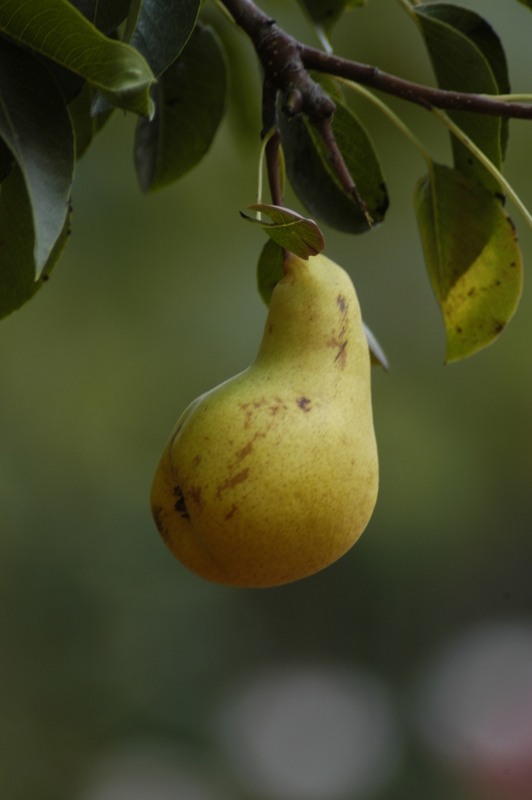 Pear harvest is under way in California. Quickly circle the market once to see what’s available before buying anything. Check for new, in-season produce and compare prices. Purchase only enough for one week’s meals. Ask for a taste sample, particularly if buying in large quantity for canning or preserving. If canning or preserving fruits or vegetables, ask the grower if “uglies” or seconds are available. Preserved food is going to be cooked or sliced and the flavors are just as tasty in produce with a few blemishes. Remember to ask growers for suggestions on methods of preparation. 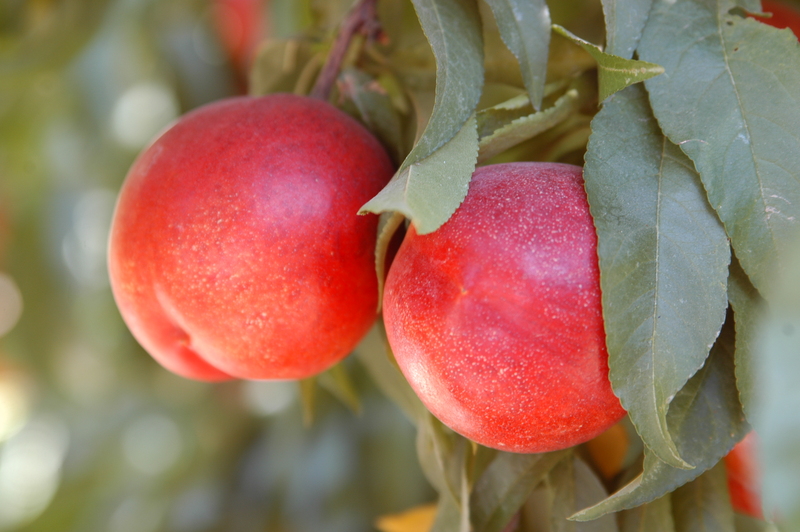 Peaches and apricots and the stem end of melons should smell good enough to eat; that means they’re ripe. 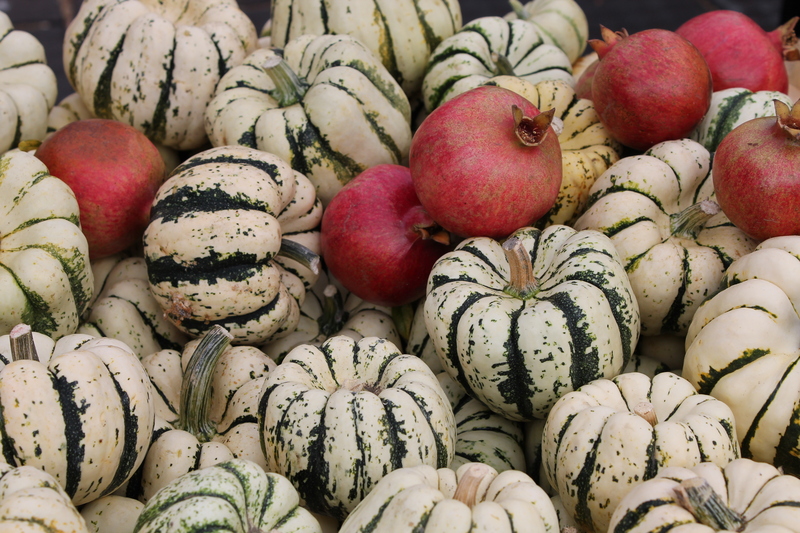 Growers are happy to suggest the perfect apples for baking or squash for roasting or greens for salad—just ask. Remember to thank your local farmers for providing fine-tasting and healthy food for your family. For an online guide to year-round farmers markets, go to http://www.cafarmersmarkets.com. Fresh Produce for the Rich & Famous, as well as the rest of us. Click for a feature on my visit to the iconic Los Angeles Farmers Market.